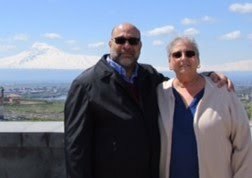 A columnist in the Armenian-American press recently blasted those of us who "pollute" the Armenian language by using Turkish names for Armenian foods. My reaction was that this is an indictment I can beat: I can't pollute a language I don't speak. For better or worse, I'm a typical English-only American except for a smattering of words and phrases from our ancestral language. At least, I think that's what they are. How could I be sure? What little Armenian I know, including the language of the kitchen, came from my mother. Mom, born in Massachusetts, spoke the Dikranagertsi dialect that she learned from her own mother. 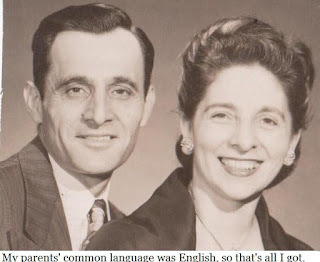 This was a constant source of good-natured bickering between my mother and my father, who was born in Dikranagerd but spoke textbook Western Armenian. As a result, they almost always spoke to each other in English, so that's what I heard at home. Dad would chide Mom for teaching me a Turkish word that she thought was Armenian, and she'd fire back, "It was good enough for my mother!" 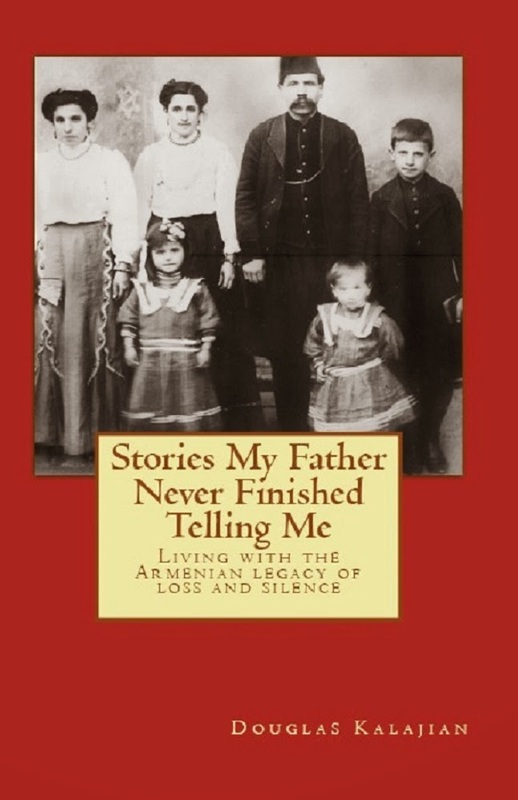 But my father, not the world's most patient man, was never inclined to sit me down for real Armenian lessons. I've since learned that I'm not unique. Even many people who think they speak proper and fluent Armenian mix in Turkish, Persian, Russian and even Greek words. The reason is obvious: Armenians have lived with and under so many other peoples over the centuries that linguistic osmosis was unavoidable. And really, what is there to apologize for? No English writer, from Shakespeare to Dickens to Kingsley Amis, ever tried to hide the profusion of German or French roots in his prose. How in the world could anyone parse Anglo from Saxon at this late date? A language is what it is, and dinner is what it is. If I tried to pretend I knew the proper Armenian names for every ingredient in every recipe, I'd just make a fool of myself -- as did a recent anonymous commenter who approached the same topic from a very different perspective. You probably didn't see this comment because it started with a profanity, which is grounds for automatic deletion from this blog. But the gist of it was that Armenian food is obviously Turkish in origin because we commonly use Turkish names. By this reasoning, a hamburger must be German -- although, it's made of beef, which comes from the Old French buef. Want ketchup on that burger? You must be Malaysian -- yep, the word ketchup comes from the Malay word for fish sauce. The reality is that cuisines, like languages, evolve. Armenian cuisine has been enriched by ingredients and ideas from easternmost Asia to westernmost Europe -- and continues to be enriched by contributions from across America. So I'll continue to call Armenian food by familiar names of whatever origin. If you won't join me, I'll be happy to eat your portion. The Genocide was such a cataclysmic event that we Armenians tend to forget that the previous 600 years of Ottoman occupation were not that much better. Under Ottoman rule, Armenians were often not allowed to speak their native language, even to having their tongues cut out for doing so. Even the pronunciation of Western Armenian, I am told, changed because of Turkish influence. It is not very surprising, therefore, that the names of many Armenian dishes are in Turkish. However, research also points out that Armenian cooks (like Armenian artisans) were very welcome in the Ottoman capital. Many palace cooks were Armenian. In addition, the several Armenian hotels in 19th Century Constantinople were also well known for their cuisine (as examplified by the sumptuous Tokatlian hotel, in Pera). As a result, there is basis for saying that it was actually the other way around: that Armenian cuisine is what influenced Turkish cuisine. And if you think about the fact that Armenians lived in the area for the last 3000-4000 years and that the Turks were a nomadic tribe that fought its way on horseback into the area, that makes very good sense. Other than, say, Yoghurt and a very basic meat-on-a-stick kebab, I don't think Monogolian horsemen ate most of what Turks today call "Turkish" food. So I think it's safe to assume that most of the food that is indigenous to the various regions of today's Turkey basically came from either Greeks, Armenians, or Kurds--in other words indigenous populations. But I do agree with doing a little linguistic research and using Armenian names for the food.